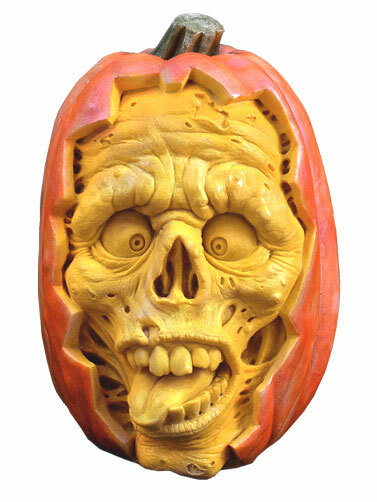 Dead Ed 3D Pumpkin Wall Art is a foam replica of the original pumpkin carved by the world renowned pumpkin artist Ray Villafane. Pumpkin is flat backed for hanging on a wall or tree and can be used indoors and outdoors. Dead Ed Pumpkin Wall Art measures 14"L x 10"W x 6"H.